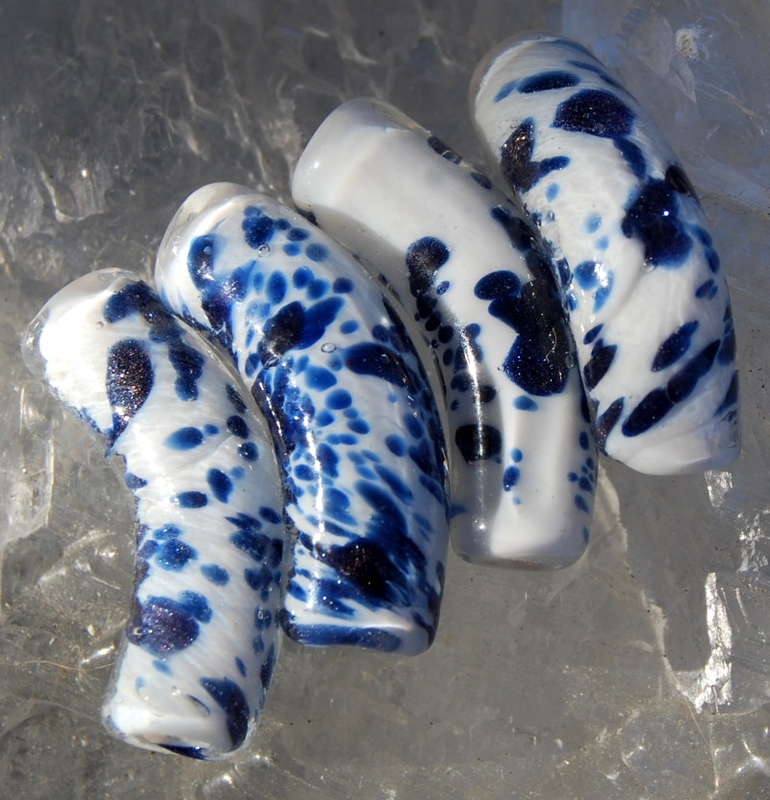 Very striking navy blue and white glass noodle bead would make a stunning centerpiece to your necklace! 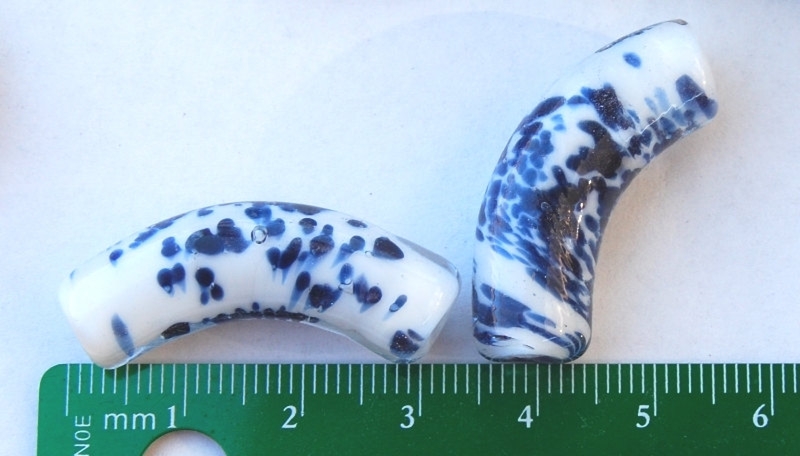 Approximately 35x10mm (size varies as these are not machine made). I believe these are Czech glass. You will receive one (1) bead randomly selected from those shown (you can ask for a specific bead; I can let you know if it's still available). 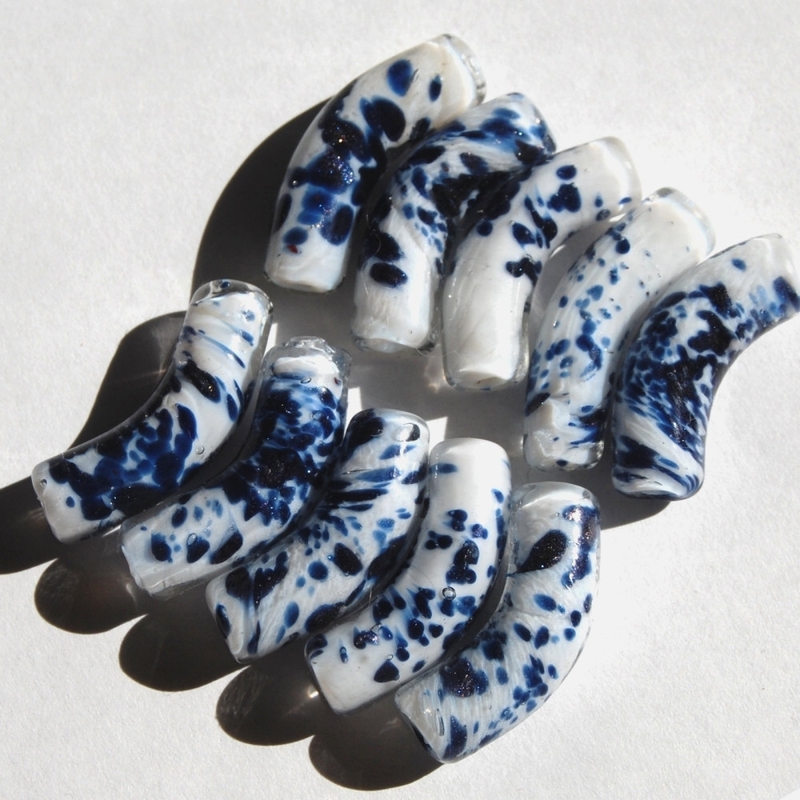 Please allow for variations in the way computer screens display color; these beads are a cobalt blue and true white. Shipped from smoke-free home.